Athletes today are training harder than ever before. Competitive youth programs in many sports are demanding a three- or four-season commitment full of practices, games, tournaments, and off-ice training. A well-rounded strength training program is a very important part of developing these athletes because not only does it provide a competitive advantage by making players faster and more explosive, it also works to stave off overuse injuries and correct the inherent imbalances that come along with participation in a single sport. Here’s the problem though: when it comes to strength training, some professionals and many parents still believe more is more. They still believe if a kid doesn’t crawl out of the weight room exhausted, it wasn’t a hard enough workout. Then they should be crushed again in the next workout. And the next. And the next. It’s the only way to get better right? This is an old-school mentality, and often times it overlooks one major factor in strength gain: recovery. Here’s how strength training works. You stress your tissues by applying some sort of training stimulus that the body isn’t used to, for example squatting while holding weight. This stress causes microscopic tears in the muscles and tissues that were used. In response to that stress, the brain initiates hormonal signals that send chemicals and nutrients to the damaged tissues. The muscles are repaired through recovery, and for a short time, are even stronger than the previous baseline. Strength temporarily slingshots above the previous level, then over the period of two or three days tapers back down. This is a basic concept called “supercompensation,” and it’s the reason you build muscle and get stronger with consistent resistance training (and why you don’t get stronger with infrequent training). It’s the body’s way of adapting to the demands you place upon it. To put it simply: Stress + Recovery = Adaption. Without the appropriate stress, there is no adaption. Without proper recovery, there is also no adaption. Recovery is a key part of the equation, and it is seldom talked about. If athletes keep adding training without allowing for recovery, they won’t get the supercompensation effect, and they won’t see the increase in performance (which is probably the reason they started a training program in the first place). So we know we want to maximize recovery. Here are a couple of strategies to encourage the best recovery possible, which allows for the best possible training effect. Sleep: Sleep is nature’s No. 1 recovery method. When you sleep, the overall metabolic (energy) demand is lower, which allows the body to utilize the day’s nutrients to repair damaged muscles rather than fueling daily activity like walking, digesting, and thinking. On top of that, more growth hormone is released while you sleep, which helps muscles repair and, well, grow. Sleep education should be a part of every strength training program. Here at Advantage Strength, we use a recovery survey to draw attention to the most important lifestyle factors that can aid or limit recovery. The first question on the sheet is “How many hours of sleep did you get last night”. On a scale of 1-5, athletes get a top score for eight hours or more, and the lowest score for less than five hours. This is our way of reinforcing the importance of sleep on a daily basis. Nutrition: To sum up what could be a book or Doctoral thesis-sized discussion of post-workout nutrition strategies, it’s important to consume at least a 2:1 carbohydrate to protein within 15-60 minutes after your workout or competition. Some studies support up to a 4:1 ratio of carbs to protein, depending on the nature and duration of the activity. The carbohydrates you consume post-workout will help to replenish your cells’ depleted glycogen stores, and the protein offers the building blocks needed to repair damaged muscles. The best option would be to eat a meal with those components, however sometimes a specially formulated recovery shake is more realistic because it is easy to bring to the gym and whip up right after your workout. Foam Rolling: Post-exercise Self myofascial release, commonly known as foam rolling, has been consistently shown to decrease muscle soreness and also improve performance in the next workout. 1,2,3 Researchers don’t exactly know the mechanisms that lead to better recovery, but some guess it is the rolling’s effect on connective tissue or the increased blood flow to the rolled area that leads to the improved performance and lower levels of soreness. The bottom line, take 10 minutes after each workout or game to roll out major muscle groups in your shins, legs, hips, and upper back to jumpstart your recovery. Stress Management: For as amazing as our brain is, it still only interprets stimuli as stressful or unstressful. So any time you put a strain on the system, i.e. staying up late finish up work, going through a tough workout, worry about a loved one, move to another city, cram for a final, etc, your brain has only one place to put that: in the “stress” file. As you can imagine, that file can get stuffed pretty full. And the more that gets stuffed into that file, the tougher it is for the system to recover from that stress. So even though you worked out two days ago, if you have a lot of stress in your stress file, your body might not recover as fast as it would in a low-stress environment. So in order to manage stress and activate your parasympathetic nervous system to initiate recovery, try techniques like using resting postures, deep breathing, massage (like the one you would get on the foam roller), yoga, or mindfulness meditation. Any of these will help your brain flip the switch, stop the flow of stress into the stress file, and get into more of a recovery mode. 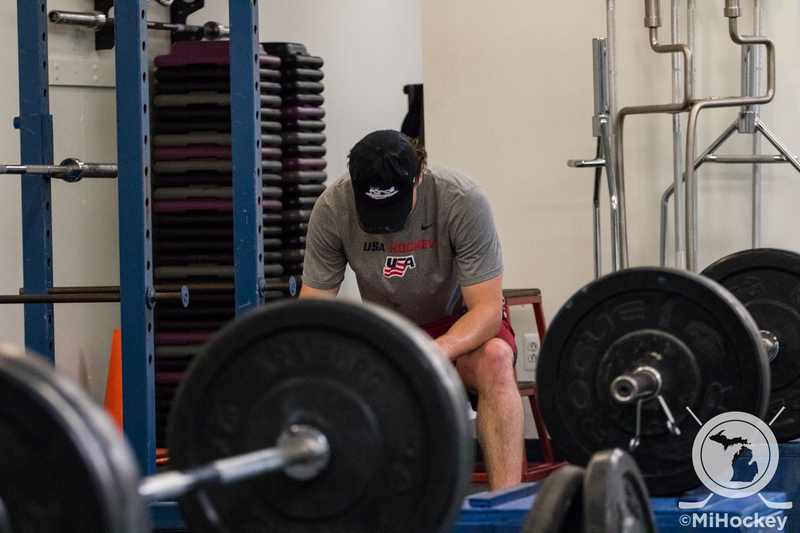 Recovery is a crucial component of any training program, so be sure to these recovery techniques to recharge the body and mind and allow for the greatest increases in performance. 2. International Journal of Sports Physical Therapy. 2015 Nov;10(6):827-38. 3. Medicine and Science in Sports and Exercise. 2014 Jan;46(1):131-42.